Cats are loving and caring animals and cat lovers will agree to this fact. Every cat is different and their behavior also varies. Behavior of cats changes according to the surroundings, breed and their mood at that moment. Cats can be active at one moment and laze around at other times. Since the time cats have entered our lives, they have captured our imaginations and every aspect of our lives. Humans have had a long love affair with their feline friends. There are 80 million cats in the United States itself and there are three cats for every dog. Even though there are so many cats, we still don’t know a lot about these furry animals and what and how they look at their human friends. 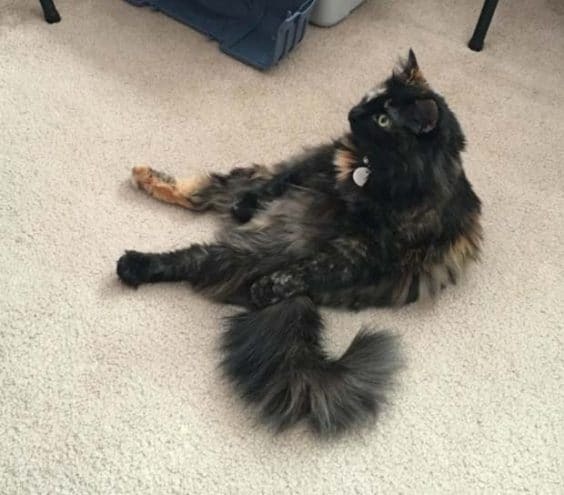 Cats don’t usually sit like humans, but the pictures of these felines on the web sitting like humans are just the timing. 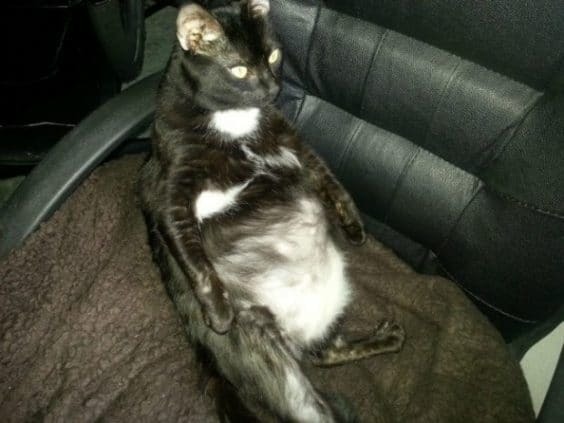 The cat owner must have placed him like that or the cat must have been lazy to move around and decided to stay put in that position. In the wild, very few animals would expose their belly like the ones we have seen in this picture. 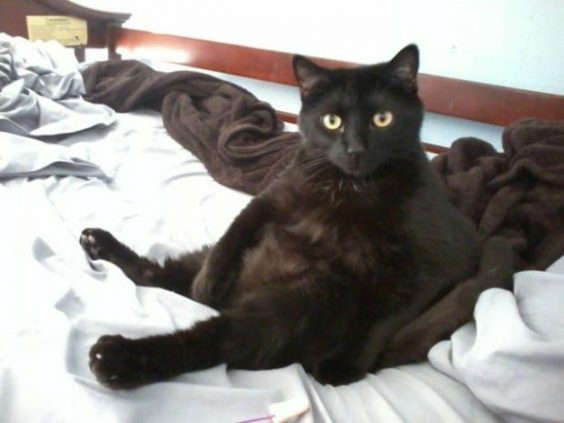 These pictures are a funny take on how cats sit like humans. 1. This kitty here was taking his bath when somebody startled him, probably his owner. Look at his expressions; he seems to be surprised seeing his owner. He seems to be saying, “Please give me some me time”. I want my privacy. 2. This smart fellow was caught sleeping on the soft bed of his owner when he was caught red-handed. He didn’t expect his owner to catch him in this position. This kitty was stretching his legs when he got clicked all of a sudden. 3. This tabby was planning a jump when he was clicked. He had plans to jump on to the refrigerator and take his favorite snack for dinner without the knowledge of his owner. 4. He wanted to watch some of his favorite television program with his owner. 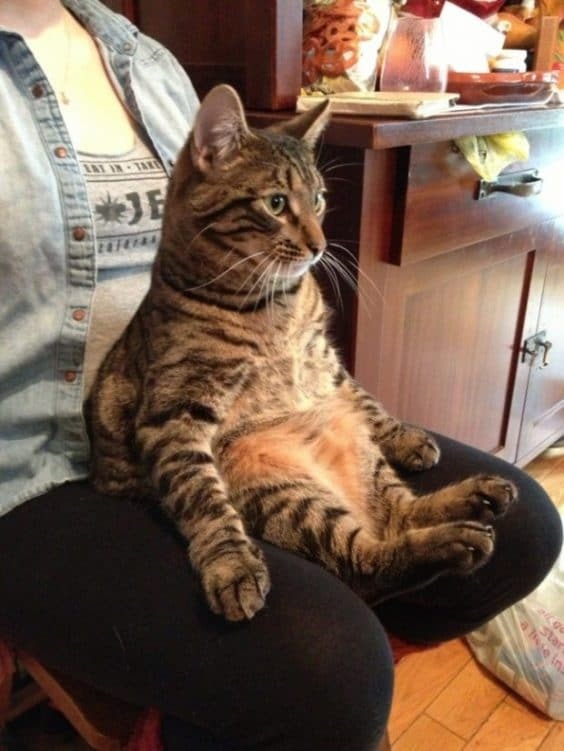 She made him sit on her lap, but this guy wanted to sit just like his owner and watch the program. A nice comfortable place to relax, maybe next time. 5. 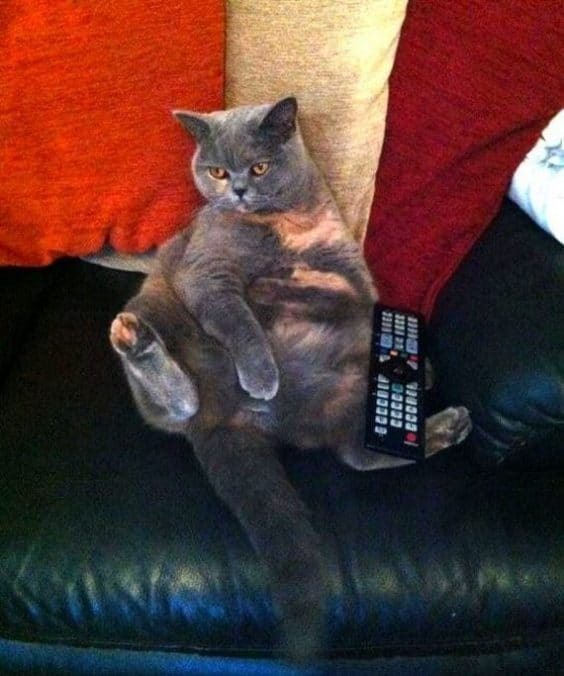 This is a couch potato cat. 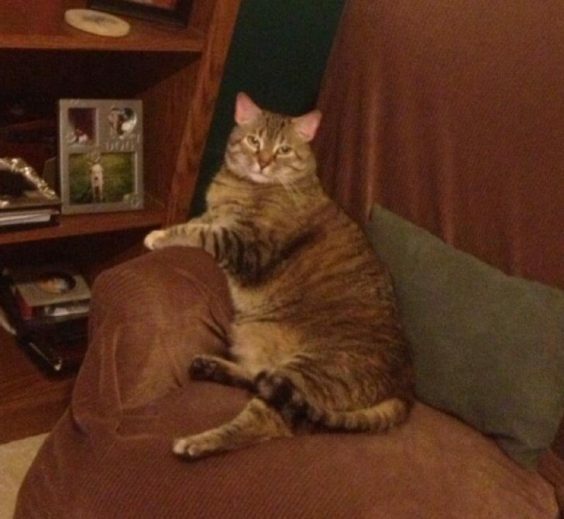 Look at the way this cat is relaxed on the couch as if he owns it. This kitty is behaving like the head of the family and doesn’t want to give away the corner place on the couch. 6. This black beauty wants to be tickled and has nicely placed himself on the chair. He wants a good massage, but his owner is busy taking his pictures. 7. 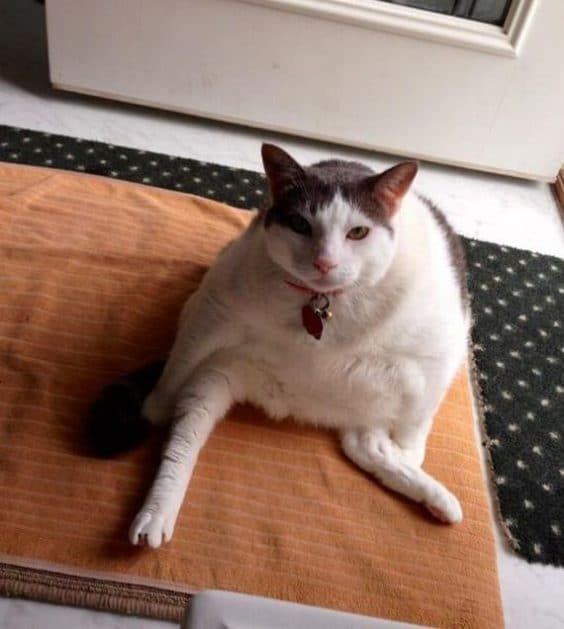 This cat has seen his owner doing yoga every day and have learned all the asana very well. The kitty decided to give it a try at one of these asana and was quite successful at completing them. A very health conscious kitty. 8. 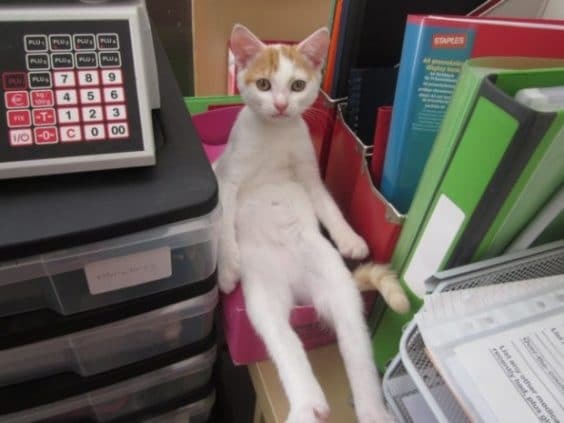 This little guy wants to see how his owner works at his office and decided to join him. He was happy to notice an empty box and he decided to relax a bit. All the chairs are occupied; poor chap had to be content with the box. 9. 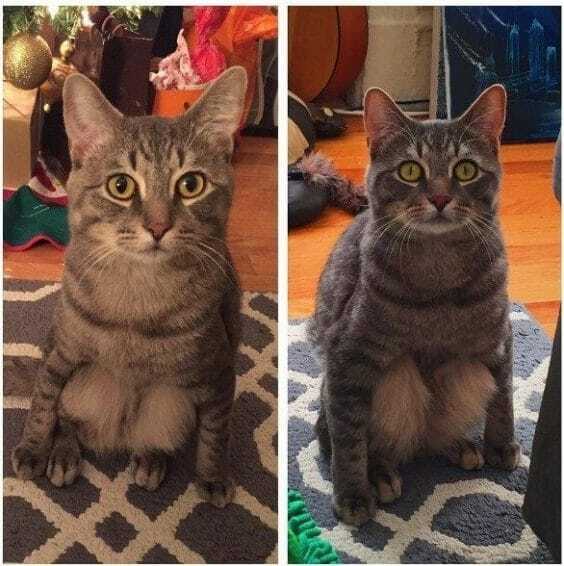 This cat has learned to sit like this from his owners. 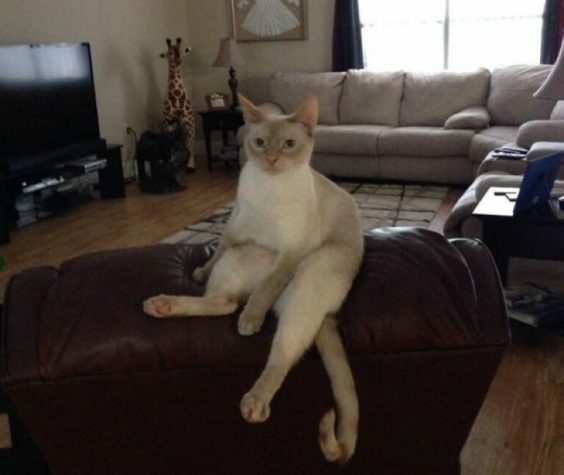 He has seen them sitting on the couch for long hours watching television so this fellow followed their footsteps and tried sitting in this position, but it guess he was not very comfortable. 10. 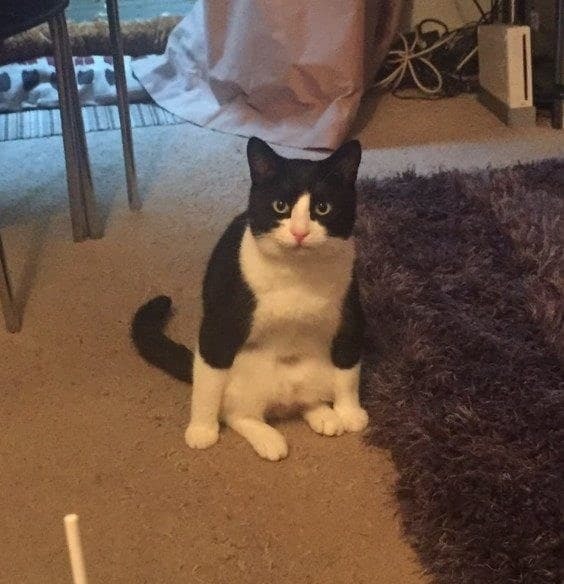 Tuxedo cat; this smart looking cat was told he looks smart in his tuxedos so he wanted to check how he looks sitting in one. Look at this smarty cat, he looks dressed for an occasion. He wanted to show off his white coat that he has maintained very well. 11. Can someone massage my legs? 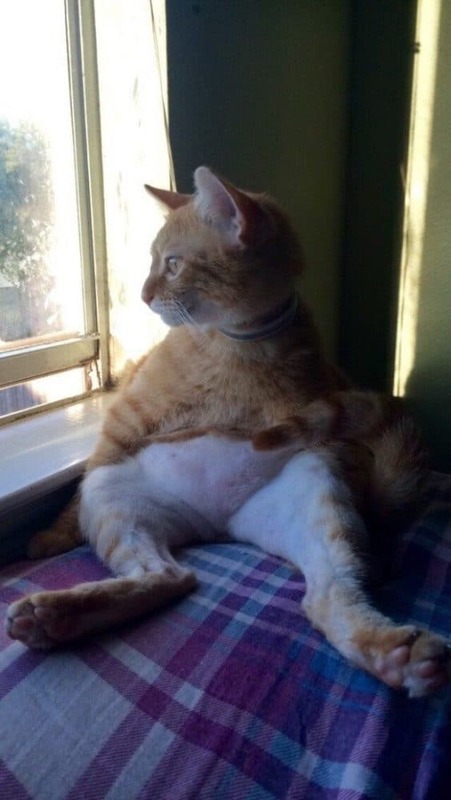 This kitty is very lazy today and wants to relax by the window. The sight of birds chirping and squirrels running on the trees is quite interesting for this cat. He is in his laziest pose today and doesn’t want to be disturbed until lunch. 12. You guys always take photographs of mine when I am relaxing. He has seen his owners sit like this on the sofa and talk. He has learned all these tricks from them. A very smart kitty caught unawares. 13. Looks like this cat is feeling cold and is in no mood to get up from the bed. He has liked the warm cozy bed so much that he has decided not to listen to his owners. His facial expression says it all. 14. 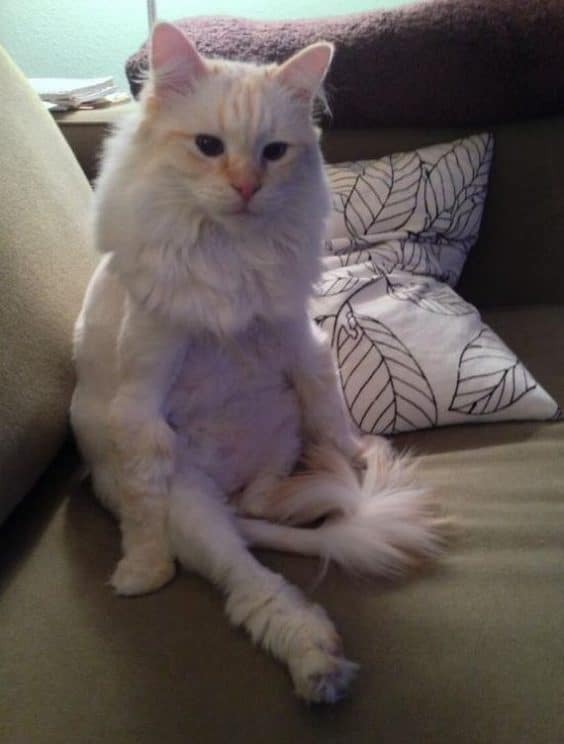 This cat has seen his owners sitting on the couch and watching television for hours together. 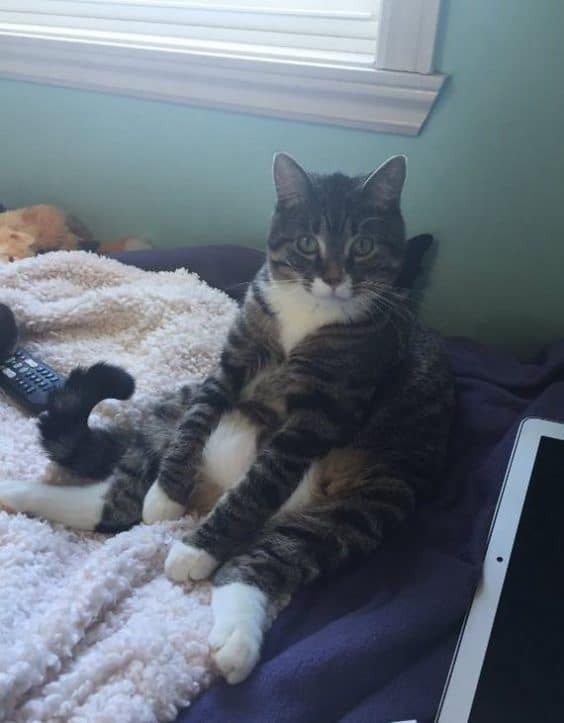 Today he has decided to sit like them and experience the same feeling. Now, he knows what a couch potato looks and feels like. 15. 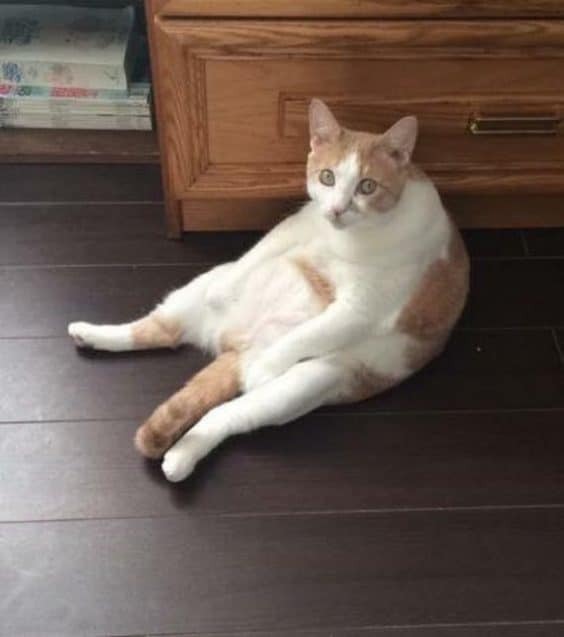 This cat looks scared as if he was caught stealing something. The guy was only licking himself clean when his owner clicked his pictures. 16. 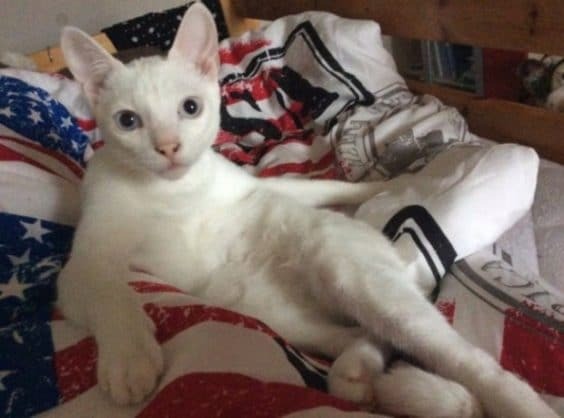 This feline was posing like a pin-up girl when her owner suddenly came in. Doesn’t she look like a ramp model and the way she has posed looks like she is a seasoned professional? 17. This kitty seems to be in difficulty, but he is perfectly fine posing like this for the cameras. Doesn’t he look like a lion with a huge mane? 18. 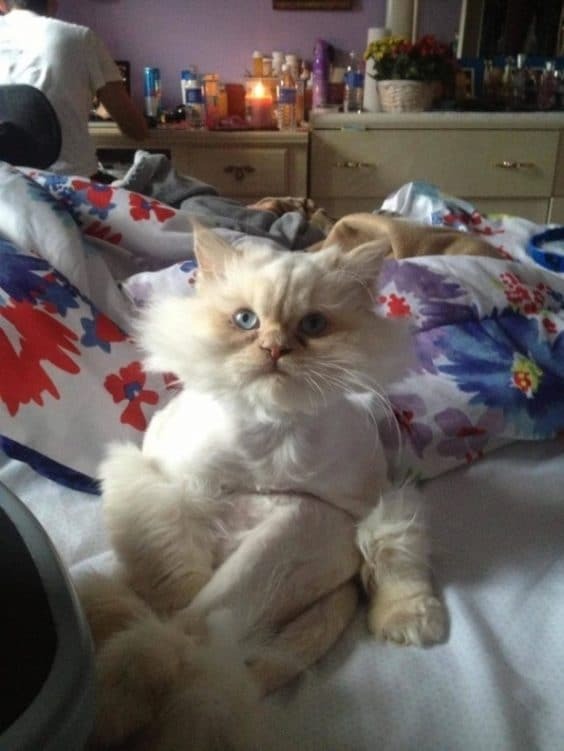 This cat wanted some heat and decided to sit between his owner and the bed. The gadgets around him are providing sufficient warmth and he seems to be enjoying it to the fullest. 19. This guy is a poser and knows how to pose for the shutterbugs. 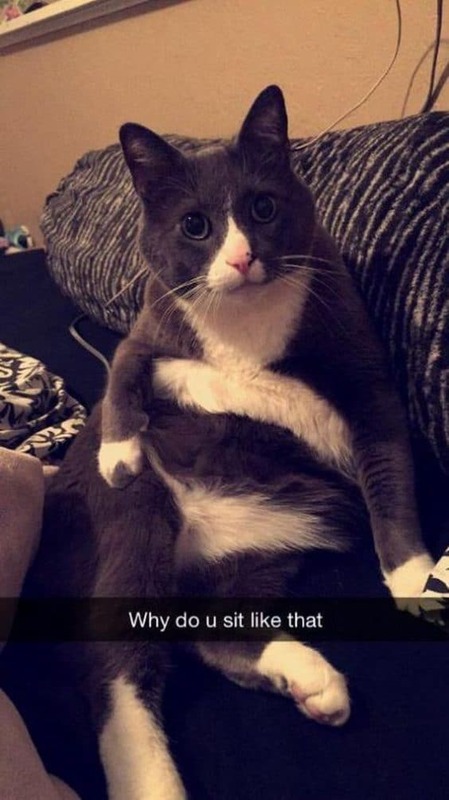 He is trying to show off his abs by sitting in this position. He is a show stopper cat with good looks and he knows that very well. 20. 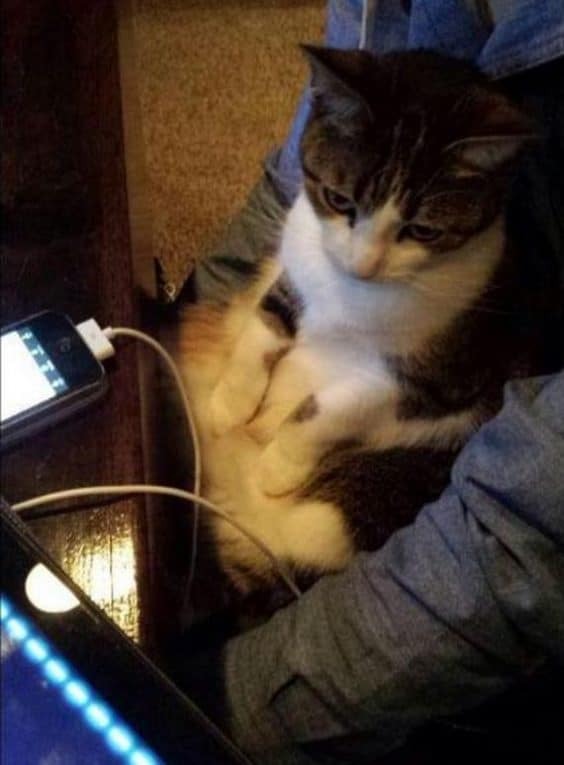 This kitty is lost in concentration. 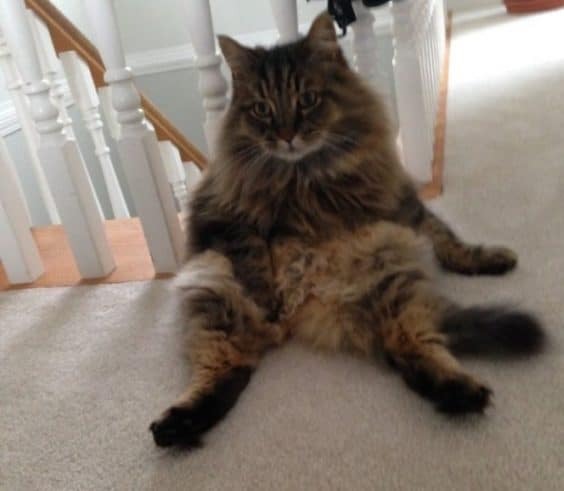 It’s surprising how these cats sit just like humans and don’t feel any discomfort. What a nice place to relax for the day.